Are you trying to decide which type of floor covering to use for your kids rooms? If so, it’s likely that you’re being overwhelmed with all the possibilities. Flooring for kids rooms come with its own unique set of concerns as opposed to flooring for adults. Kids flooring will have a lot of foot traffic. It will have to deal with quite a bit of wear, tear, spills and dirt. 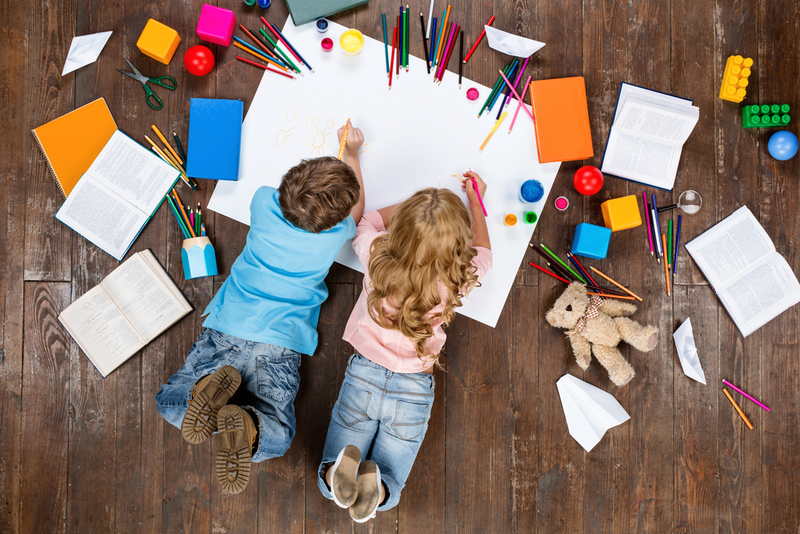 Kids can be messy, so you’ll want a flooring surface that can cope with it. The surface should also be warm and it shouldn’t be too hard as that would prove uncomfortable for kids, and if you’re dealing with a really young kids they might hurt themselves on hard floor surfaces. You need to also make sure that the flooring surface is free from allergies and doesn’t attract dust mites. There are several flooring options for children’s rooms such as laminate flooring, carpets, cork flooring, bamboo flooring, etc. However, one particular flooring option doesn’t often receive the kind of attention it deserves - parquet flooring! Parquet is a wood product especially manufactured for flooring purposes. Parquet flooring is the name given to a type of flooring which owes the origins of its name to the French word parqueterie and dates back to the mid to late 1600's. Typically laid in regular and geometric, angular shapes, you will see squares, triangles and lozenges featuring strongly in traditional parquet flooring. Parquet floorings are available in numerous patterns from classical one-strip boards to modern, intricate basket weaves.